Extra Standard Tomato Ketchup is made from vine ripened round tomatoes that are washed, sorted for quality, chopped, strained and evaporated under vacuum to obtain the necessary solids required for the particular style of ketchup being made. Seasonings, sweeteners and other ingredients are added to obtain the sweet and spicy flavor characteristic of tomato ketchup. The finished product has a smooth finish and is practically free from defects. 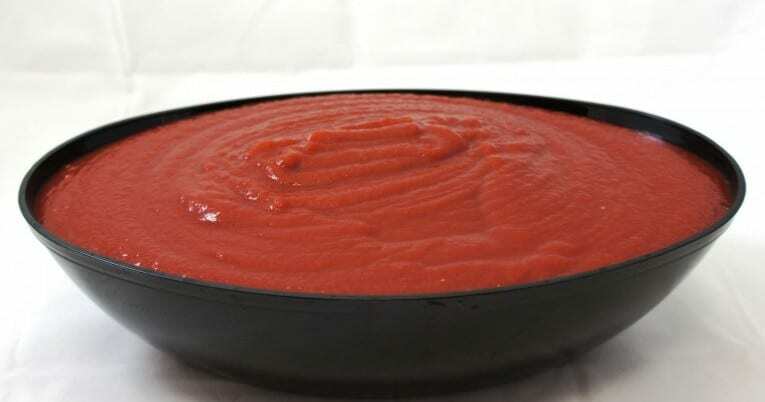 Ketchup is hot filled to ensure commercial sterility then cooled prior to stacking.